As excited as you are for the start of spring, it’s a safe bet that AJ Petitti is just as eager for the return of warm sunshine, green grass and flowers in full bloom. The business has come a long way since the early days operating out of the small garage of AJ’s father, Angelo, in Oakwood Village. Customer traffic was swift, and Angelo and his brother, Dominic, quickly realized they needed more space. The first official Petitti Garden Centers opened on the site of that garage in the spring of 1971, and it still serves as the company’s flagship store today. Today, there are nine locations across Northeast Ohio where customers can find more than 7,000 varieties of plants and flowers. The company owns Casa Verde, its greenhouses in Columbia Station, where annuals and perennials are grown. In Lake County, five farms comprise Willowbend, where trees and shrubs come to life. It all adds up to 9 million plants in production and an estimated 600,000 customers each year. It’s impressive, but Petitti says customers expect more than beautiful flowers when they come to a Petitti store. Whether it’s in the store, online or through one of the company’s sponsored radio or TV programs, Petitti has made customer education a top priority. It’s a key factor in the company’s enduring success. The workforce at Petitti encompasses about 720 employees across all 17 worksites during peak season, with 255 employees working year-round. Finding the right people to fill key roles at each location comes down to a leader’s ability to clearly understand the work they’ll be doing. Petitti and his father, who still serves as owner and CEO, each drive about 50,000 miles a year traveling to and from each of the company’s stores on a regular basis. It’s not about micromanagement; it’s about being part of the team and creating an environment where everyone has the same knowledge and expertise to share with customers, Petitti says. The company has built an experienced team of growers on the nursery side and floriculture side of the business that pays very close attention to the products that ultimately go out for sale. Petitti’s job is to make sure the people interacting with customers have the same know-how that they can convey to them. Ultimately, it’s about ensuring customers like what they see when they come to shop. Petitti Garden Centers opened new stores in Brunswick and Canton in 2018 and completely renovated its store in Boardman. With those projects done, he says he’ll sit back and assess the landscape before taking on any new work. Technology has created another way to communicate with customers and help them to be more informed. While AJ makes regular appearances on Fox 8, his father’s Saturday radio show on WTAM has for years been a must-listen for gardeners across Northeast Ohio and beyond. 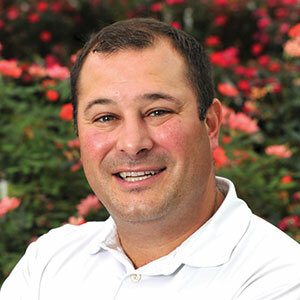 The company’s website also provides information and guidance to Petitti’s customers, which leads to greater confidence in their gardening exploits. One of the ongoing challenges that impacts business at Petitti’s — a factor that is completely out of the company’s control — is the weather. Last year was a tough one, as March and April were very cold. 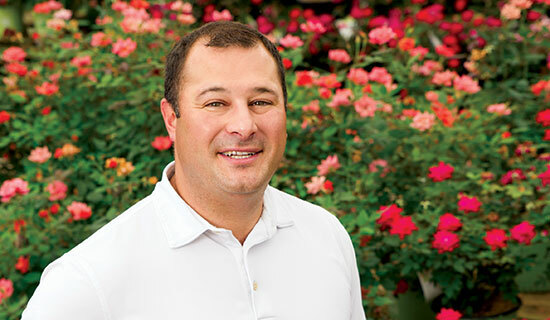 While the Northeast Ohio weather will continue to provide unexpected twists and turns, Petitti is confident that whatever the company faces, his team will be ready. What do you do when you’re not working? I like to cook, and I enjoy time with friends. I’m a terrible golfer, but not a bad skier. We still get together as a family for dinner every Sunday. That’s a huge part of our lives. What is your favorite sport? Anything Cleveland. Browns, Cavs, Indians. What is your favorite vacation spot? Italy. Pasta. Our family is from there, so it’s like going home. I try to get back there as often as possible. The food up north, the culture down south. There are so many regions, so many places to explore. How do you feel about giving back to the community? We don’t say no very often. It’s from little bake sales to working with Eagle Scouts to Prayers from Maria, Cleveland Clinic Children’s, Rainbow Babies & Children’s Hospital, Akron Children’s Hospital. We find different ways that we’re able to participate and contribute to the community. With Prayers from Maria, they have a nice line of merchandise, so we took four feet of wall space and contributed it to them. So 100 percent of the sales from their space goes right back to their foundation. We’re always looking for different opportunities. Where we see we can be a good fit and help out, we try to make sure we’re doing that.